I have always turned up my nose at the red tourist buses full of passively gawking tourIsts, but today was not that day. Turns out, it is a great way to get an overview of an unfamiliar town and get closer to the architecture. 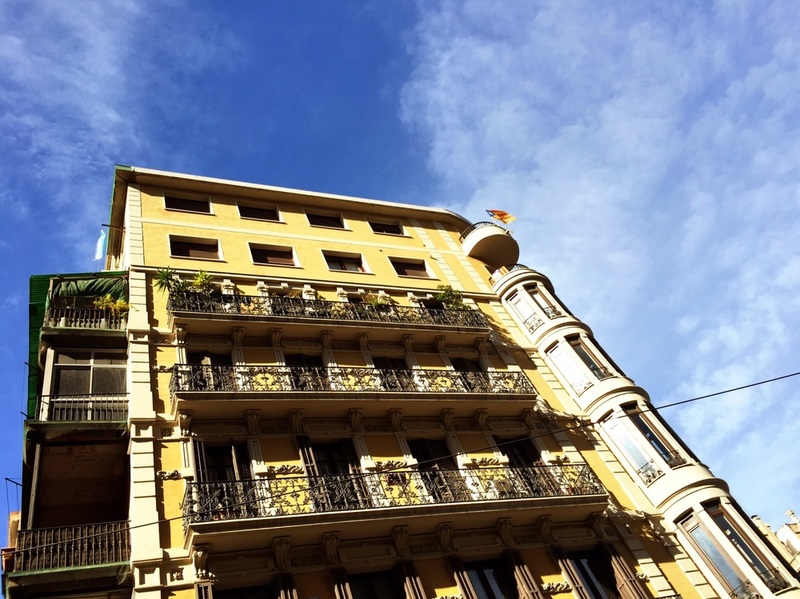 I really like the balconies of Barcelona. The metro area is filled with residential districts each with a distinct flavor to the 5 or 6 story structures that face each other across a bustling thoroughfare. Each looks uniquely inviting, especially in the glow of early afternoon sun. Then there's the 'modern' architecture, seen throughout the city and influencing the even more recent structures like the Torre Agbar, gateway to the tech district (el Pobleneu) rising from a former industrial wasteland. The most famous landmark in Barcelona is the Sagrada familia, designed and constructed over 40 years by Antonio Gaudi, and still under construction 130 years later. The people of Barcelona: they are not like the people of Paris, or of Rome, or New York, but they apparently are every bit as proud of their city as the aforementioned. I can't argue.